My passion is giving a voice to the working poor in America. 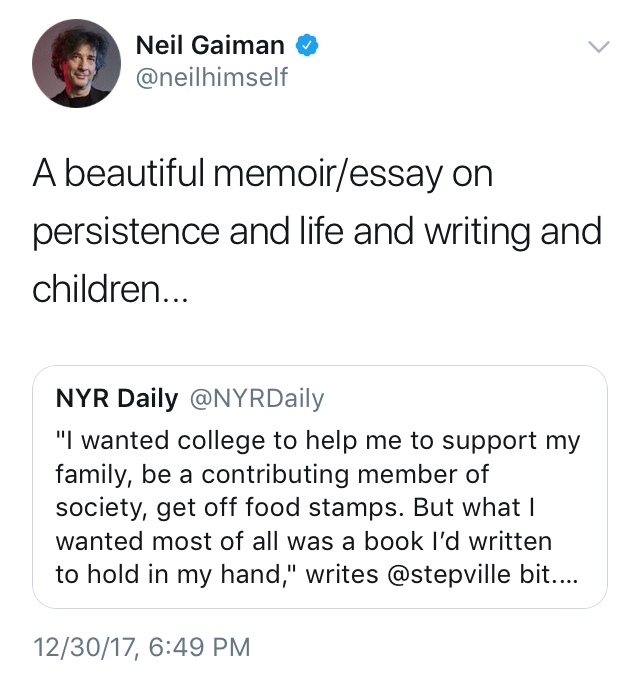 In my New York Times best-selling memoir MAID, I tell my story of juggling several housecleaning clients while working my way through college as a single mother. We were barely scraping by, struggling through a system of government assistance that more often pulls poor people back into poverty rather than lifting them out. 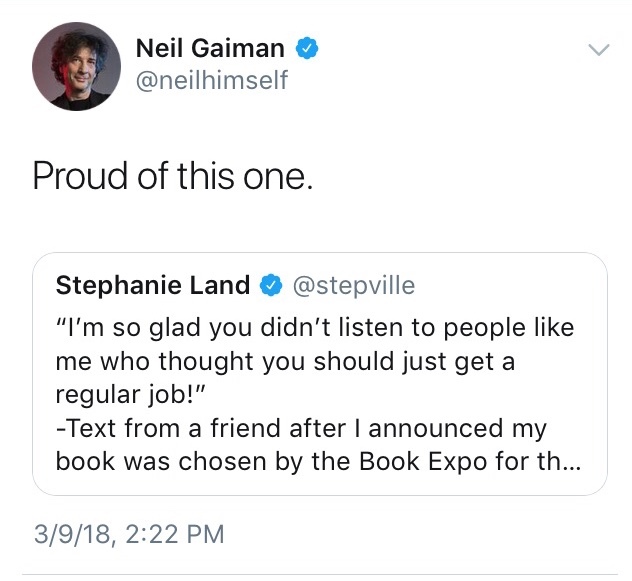 My writing is fueled by my own experiences. I aspire to use my stories to expose the reality of what it’s like to pursue the American Dream while being held back at the poverty line. Too often these stories aren’t being told. I want to change that. 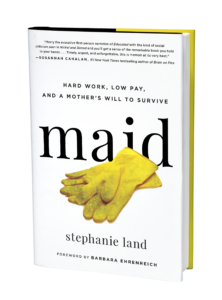 Even though MAID is just my story, I hope that readers will start seeing the millions of single parents, domestic workers, and those who are working so hard to make ends meet in spite of people calling them lazy or even thieves. I hope that changing those stigmas is part of my story, the part of our story, that lasts. I aim to continue raising my voice, speaking up for people who are struggling to make ends meet like I did for so long. Please feel free to look around, contact me with questions, or inquire about interviews, articles, speaking or teaching opportunities. Thank you for listening, and for being here. Featuring a foreword by Barbara Ehrenreich. We work alone. We get bored. What do you expect? Read full piece on Vox. Read full piece on The New York Review of Books. It didn’t take me long to go from financial stability to fearing homelessness. In January 2014 I was 35-years-old, raising a six-year-old nearly full-time and six months pregnant without a partner. Read full piece on The Guardian. Minimalism is a virtue only when it’s a choice, and it’s telling that its fan base is clustered in the well-off middle class. For people who are not so well off, the idea of opting to have even less is not really an option. Read full piece in The New York Times. The poor, and especially poor people of color, don’t have the luxury of raising ‘free-range’ children. Read full piece on The Establishment. At the start of my 10-minute break during a two-hour writing workshop, I looked down to check my phone. I had three missed calls and five text messages, all from the friend who was supposed to be watching my daughter. Read full piece on The Washington Post. 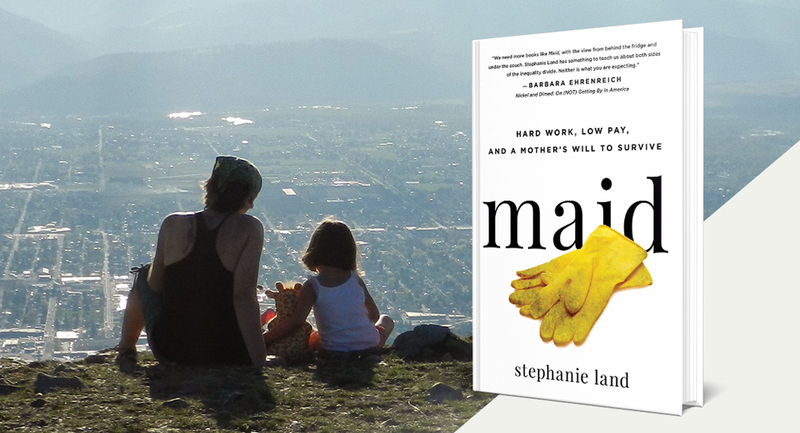 Just finished MAID by @stepville. It was hard to put down, a story by someone our society rarely sees or pays attention to: impoverished single moms who struggle to pay for food & housing & basic necessities. 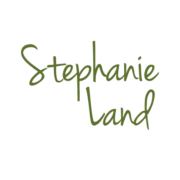 Congrats to Stephanie on book that exposes issues too many women face. Someone: you should take this weekend off! You deserve it. Me: have you ever BEEN solely responsible for caring for two children completely on your own before?? Just finished Maid by @stepville and it just slayed me. 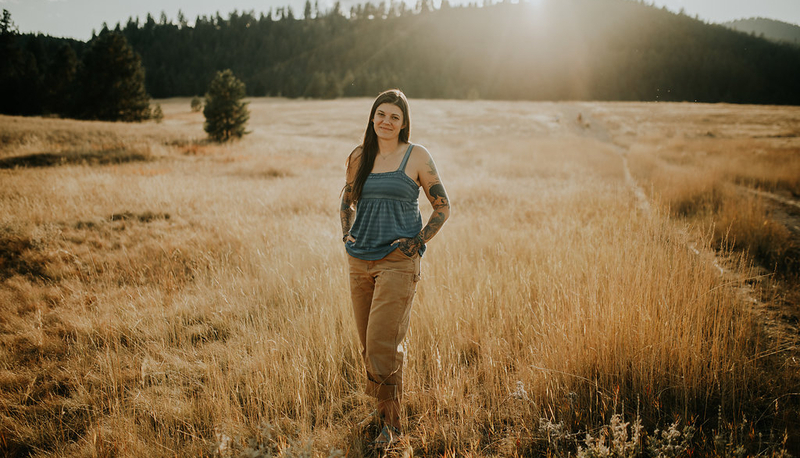 We need more stories by and about women living in poverty. We need more stories by mothers about motherhood.